Hip fracture is a really common injury in later life, but do we have reliable evidence to guide care and rehabilitation? Sarah Chapman takes a look. “Mum’s fallen and broken her hip”. Heartsink words I didn’t want to hear, not just for the sorrow that my parent was in for a painful, difficult time in the short-term, but knowing too that this can be an injury with serious, long-term consequences. Thankfully, as a very fit 73 year old, Mum made a good recovery, though left with a rolling gait and a permanent dent in her confidence when moving outside. A decade on, I dread it happening again, as for those who are frailer, older, the consequences can be catastrophic. There is an increased risk of death following hip fracture; for survivors, poorer physical function can lead to loss of independence. Were Mum to break her hip again, she’d be one of the 40% of people with hip fracture who also have cognitive impairment or dementia; she’s also frail and under-nourished. These are all factors associated with poorer outcomes. People like my mum make up the majority of those with hip fracture; old and frail with multiple co-morbidities, quite probably including some form of cognitive impairment. It’s a really common injury, with a lifetime risk of 17.5% for white women and 6% for white men. Most need surgery, to reduce the risk of limb deformity and to speed recovery. We might expect, and certainly hope, that there is good evidence showing what works best when it comes to care and rehabilitation after hip fracture surgery. There are a number of Cochrane reviews which bring together the best available evidence on different aspects of rehabilitation and some have informed the NICE guideline on the management of hip fracture in adults. Let’s take a look. Care and rehabilitation after hip fracture surgery are increasingly in the hands of a multidisciplinary team, and this was explored in a Cochrane review. The populations and interventions of the 13 included studies varied considerably and did not allow for firm conclusions about effectiveness. 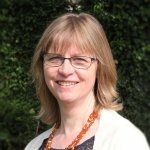 However, in their helpful editorial from 2011 on rehabilitation of older people after hip fracture, Cochrane authors David Stott and Helen Handoll noted that both this review and a non-Cochrane, more general, review on inpatient rehabilitation for older people were generally supportive of co-ordinated multidisciplinary inpatient care. In the years since, we would hope that there have been new and better trials, and the system of updating Cochrane reviews every few years allows for new evidence to be taken into account. It also means that other changes can be made to the reviews to increase their usefulness. How can we best care for people with dementia? The Cochrane review on multidisciplinary rehabilitation is in the process of being updated, and this time people with dementia and hip fracture will be analysed as a subgroup. This may help to fill an important gap in the evidence on how best to care for this large group of people, as it’s not yet clear what’s best. Helen Handoll told me that people with dementia are under-represented in the trials currently included in the Cochrane reviews on hip fracture care, but that more recent trials, which will be considered for inclusion in the updated reviews, have included these patients. 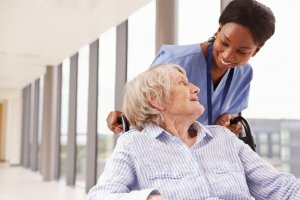 A review specifically looking at rehabilitation and care models for people with dementia after hip fracture surgery was published in 2015. From the small, very low quality studies, none of them exploring interventions specifically designed for people with dementia and hip fracture, this review team was also unable to draw firm conclusions about the effectiveness of these approaches to care. They have stressed its importance as a focus for research for this growing patient population, and have included helpful detail about which aspects should be prioritised for investigation in future trials. 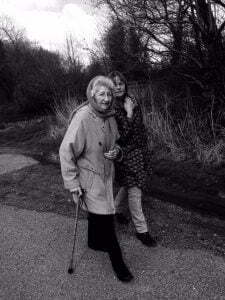 Helping people to regain their mobility is, of course, an important aspect of care. The Cochrane review on this reveals the lack of reliable evidence on what works best. The most successful programmes have involved intensive, supervised and ongoing exercise, but the resource implications and the optimal format of these interventions remain unclear. Both this review and the review on multidisciplinary rehabilitation have been expanded to include post-discharge care and are being updated. More research is needed too on interventions that focus on social and psychological recovery, the gaps exposed by this Cochrane review. With many older people under-nourished at the time of breaking a hip and subsequently not eating well whilst in hospital, this is an important area to address to aid recovery. The Cochrane review looking at this has very recently been updated and now includes 41 studies with nearly 4000 people. All the evidence was of low or very low quality and some interventions were explored in a single study. 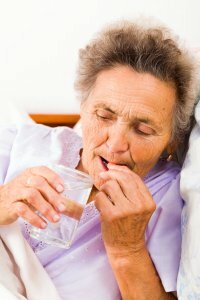 The largest number of studies (18) looked at oral multinutrient supplements started before or soon after surgery and suggest that these may prevent complications (such as pressure ulcers, confusion and infection) in the first year after hip fracture, but have no clear effect on mortality. Overall, the review raises more questions than the evidence can answer, or gives hints of that interventions may be promising, such as the use of dietetic assistants to help improve intake, but that need further scrutiny in well designed trials. The review authors note that there is no clear evidence that those who are malnourished are more likely to benefit from multi nutrient supplementation than those who aren’t, but that this may be down to limitations of the evidence, including the use of different definitions of malnutrition in individual trials. Many trials excluded people who were likely to be the most malnourished, such as those with dementia. Let’s hope future trials address these limitations so that we can fill some of these gaps in our knowledge. As well as better evidence on how best to promote recovery after hip fracture, we need to know how to prevent falls in the first place, and the Cochrane Bone, Joint and Muscle Trauma Group is on the case. 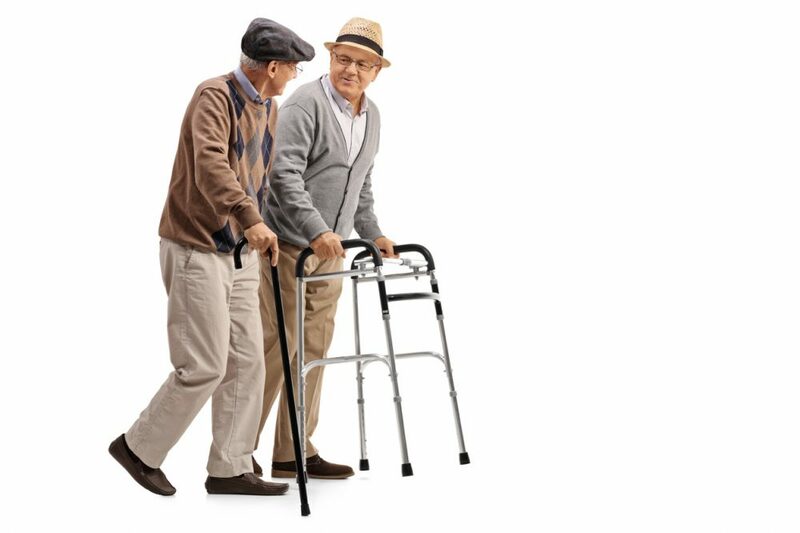 Their review on preventing falls in older people living in the community, in particular, has robust evidence on the effectiveness of a number of approaches. However, like the trials in several of the hip fracture reviews, people with dementia are under-represented, one of the limitations we hope to see addressed in new trials. Owing to the size and complexity of this review, it is being split into separate reviews of the main interventions, rather than being updated in its current format. I’ll be watching this with interest, and doing what I can to keep Mum on her feet. With thanks to Helen Handoll, Co-ordinating Editor of the Cochrane Bone, Joint and Muscle Trauma Group, for her insights on hip fracture evidence and to both Helen and the Group’s Managing Editor Lindsey Elstub, for keeping me up to date with plans for the hip fracture and falls reviews. What I would say as an experienced nurse working in an intermediate community hospital environment is that I feel the loss of our beds will be detrimental to patients who fracture their hips. Their rehabilitation will be hampered and outcomes in the long term will prove more costly.